Containers of relief goods donated for survivors of super typhoon Yolanda are to be destroyed after standing idle for more than four years. The Bureau of Customs in the Central Visayas announced today (Wednesday, October 3) that the goods — including baby food, clothes and medical supplies — will be incinerated. Cebu Customs District Collector Elvira Cruz said the donors and consignees did not get an exemption from paying taxes and duties from the Department of Finance, leaving the items to rot in limbo. He added: “This was meant to be donated for the Yolanda victims in Cebu. But it was not processed because the donor did not want to pay taxes and at the same time he had no permit. He had no exemption. 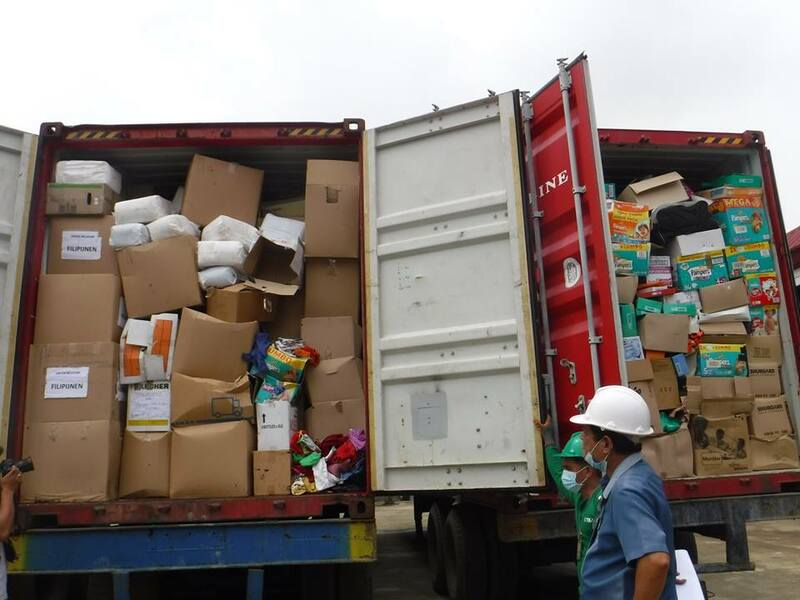 The donated items in three of the four containers – which came from Belgium, the UK and Norway – have now been taken to RRDS Petro-Chemical Industries, in Mandaue City for destruction. They had been intended to help the survivors of the natural disaster — international name Haiyan — which hit the country in 2013 killing at least 6,300 people and displacing some six million. It was the strongest tropical cyclone ever recorded. The international community rallied round, and billions of dollars were donated to the relief effort. However, from the outset corruption and incompetence meant that much of these funds failed to reach the victims. The three consignees of the donated goods were ABS-CBN Foundation, DSV Air, and Sea and Wellmade Motors and Development Corp. The Bureau of Customs eventually issued a notice and declaration of abandonment of shipment in June last year. Cruz said they tried to approached the Department of Social Welfare of Development in Central Visayas to make use of the items instead. However, the department refused because most of the items were expired and the moratorium on the acceptance of forfeited used clothing is yet to be lifted. Most of the Yolanda cash donations were pocketed, many of the relief goods were sold, and now this huge waste. Not surprising at all….I don’t know how anyone can be proud of such an incompetent, corrupt nation. This is disgusting to the max. I guess COMMON SENSE is not a virtue in the Bureau of Customs and Dept. of Finance.